The herb fennel is so plentiful and grows so well in the Pacific Northwest that some people think of it as a weed and do their best to eradicate it. Horrors! This plant is useful from its seeds to its roots and should be cherished! The word “fennel” developed from the Middle English fenel or fenyl. 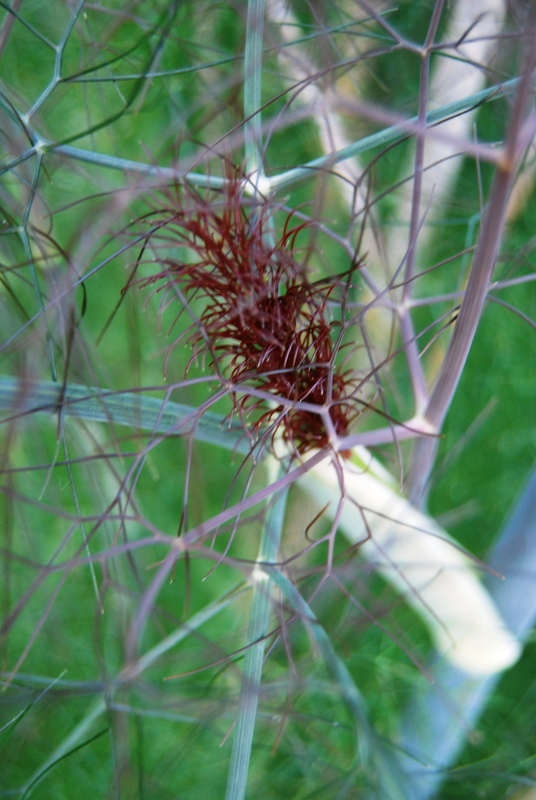 This came from the Old English fenol or finol, which in turn came from the Latin feniculum or foeniculum. As Old English finule, it is one of the nine plants invoked in the pagan Anglo-Saxon Nine Herbs Charm, recorded in the 10th century. Florence fennel has a wide bulbous base and is used sliced in salads, Bronze fennel is a decorative garden plant and common fennel is what is commonly found in local gardens. Here are my six favorite uses of this versatile herb. I like to put the tips of the leaves in salads. If you use too much they can overpower more delicately flavored lettuces but a few sprigs give a nice anise flavor. The full leaves are good for garnishing dishes; they look especially pretty with salmon. The fennel flowers or “pollen” can be collected and the bright yellow powder can be dusted on pasta. The hollow stems can be cut into lengths and used as straws to add a slight licorice flavor to cocktails. Fennel seeds are a key ingredient in both Chinese Five Spice and in French Herb de Provence. The seeds should be collected when green then dried and either ground for Five Spice or sprinkled into the Herb de Provence. I love the flavor of toasted fennel seeds. To make them gather green seeds and over a slow heat in an iron frying pan roast them until they are fragrant and crisp. They can be added to granola, eaten to freshen the breath after a garlicky meal or used in cookies. 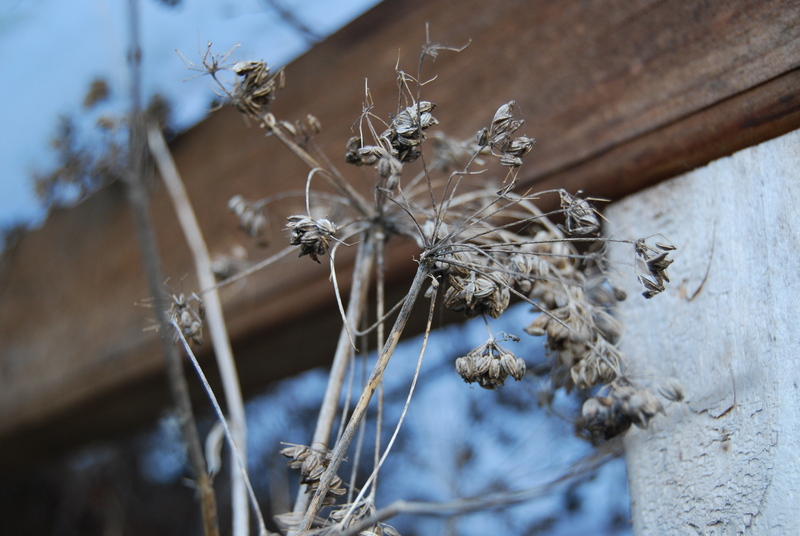 Seed pods from last year – what a waste! How do you like to use this wonderful plant? 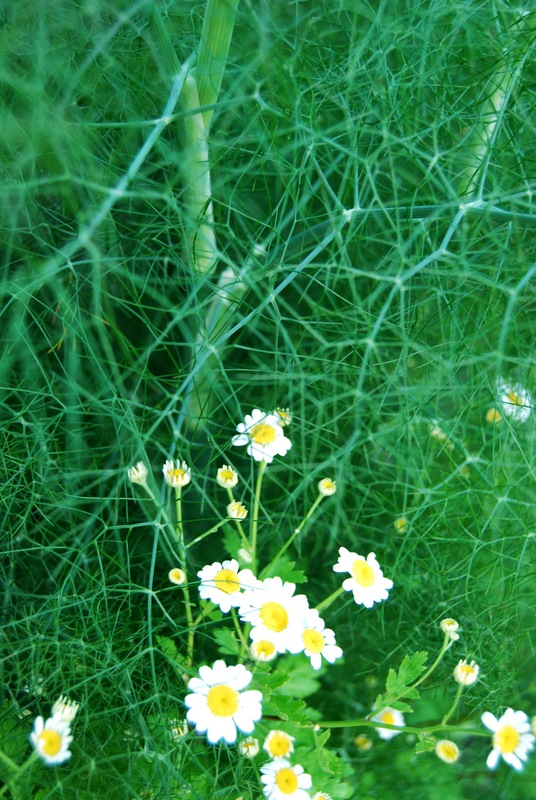 Fennel with Feverfew in front. Just heard from a friend that she makes fennel infused vodka. This sounds delicious! Pesto does not require Basil, but can use any green herb. I’ve made Pesto with Fennel. As you make it in batches, freeze it in an ice cube tray, then remove it and store the frozen cubes in a plastic bag. What a great idea! Thanks for the suggestion!